Okay, I’ve made it through the fourth book in the David Moody series of walking dead books, “Autumn: Disintegration.” While Moody doesn’t have your typical zombies in these books, they are re-animated dead people, and they are actually just as scary as the flesh-eating zombies in other books or movies. In all the books no one actually refers to them as zombies, but merely, “bodies.” There is a moment in this book where the “Z” word comes in but only for a brief moment. While Moody’s zombies don’t eat flesh, they still are a threat to the surviving humans by sheer numbers, and as time goes by they seem to be getting just a little bit smarter. To catch you up on the storyline, some strange virus or maybe an antivirus has caused about 90 percent of the world’s population to die off within seconds, the survivors are all in shock and not knowing what to do next. While trying to figure out what happens next the bodies get up and start walking. At first, they just walk and only react when touched. Eventually the bodies begin to react to sound and when enough bodies react the threat of being crushed by the dead bodies becomes a danger. Then the walking cadavers begin to act violently toward the living, not eating the flesh of the living but clawing and pounding the living. In the previous 3 books some of the survivors manage to find an island and rid it of the remaining bodies and begin starting over. This book takes place parallel with the other 3 books but begins 40 days after the virus has hit. This time around David Moody introduces the reader to a group of survivors who have cordoned off a section of flats by building a barrier of cars and trucks and only going out for supplies when needed. Each time this group goes out they notice that the bodies are becoming more violent, and even smarter. Another problem is introduced in this book and that is one of disease. With all the rotting bodies and the remains of the twice-killed bodies (yes, you can still kill them by destroying the head/brain) one of the group of survivors dies from an illness contracted from the germs left by the rotting flesh. After the animated corpses learn to breach the fence of vehicles put in place by the survivors they all decide they need to find somewhere new, and maybe just maybe get away from the new threat of the germs. One thing about this group is that they are a loosely led band that almost reminds me of a motorcycle gang and how they would survive a zombie apocalypse. They always go out wearing several layers of clothes, including leather, to protect against the bodies. The group boards their vehicles, one of which is a double-decker bus and head out to find a safer place. I have to pause here and just comment on the fact they have a double-decker bus. How cool is that? I used to work for a radio station that had a double-decker bus as one of the station vehicles and thought it was the coolest ride around. For you Brits, that ride one all the time you probably don’t see my thrill here, but I just think if you are going to ride around the countryside during a zombie apocalypse, a double-decker bus is the way to go. Anyway back to “Autumn: Disintegration.” The group accidentally find a resort hotel in which a small band of survivors have managed to get by, barely. The hotel group has a sound system set up on a nearby golf course keeping the bodies away from the hotel, as well as a nice fencing system keeping the undesirables out. The city group, used to going out and foraging daily, get restless and when they do they begin to make noise which attracts more bodies and soon the hotel is under threat of attack. Another thing i should mention is that the hotel group has a single body locked in a windowed area near the hotel pool. This body is a barometer of sorts to let those inside know how the bodies outside are changing. I’m continuing in my excursion into the Autumn series by David Moody, and with the third book out of the way, I’m more convinced that this is NOT a zombie series. Although the walking corpses do prevail in these books, the series is more about survival on a post apocalyptic world than just the horror of walking dead. Ever since book one I’ve been wondering why these meatbags haven’t been eating the living, but at the same time with the constant despair and need to survive guiding those that were immune to the virus, this series is just a good story. My love of all things zombie got me interested in the books, but it was the excellent storytelling by David Moody that kept me reading. In the first book, “Autumn,” we were introduced to Michael and Emma as a mysterious virus struck nearly 90% of the world’s population dead. The deaths happened within seconds after contracting the virus. Michael and Emma were among the few survivors that grouped together in a small town community center. The two met up with Carl and decided that they had pretty much the run of the world since there nearly everyone else was dead. When the bodies of those struck down by the virus began to rise and walk around the 3 decided to head off and find safety in an abandoned farm. The bodies then actually started to attack, not eating the flesh of victims but just the mere mass of lots of bodies was enough to bring harm. Carl tried to go back to the Community center but found it overrun with bodies and he finally fell to the horde. Michael and Emma took off to find somewhere safe. In book two, “Autumn: The City,” the story runs parallel to the first book but this time from the view of survivors in a large city. This second book also throws in that the military had a bit of a warning of the virus and military personnel were immediately sent to bunkers before the virus struck. The survivors in the city are holed up in a university but the crowding from the walking cadavers soon makes it obvious they need to relocate. When the military decides to send out a scouting party to determine what has happened and the current status, two of the soldiers are left behind when the troop transport is overwhelmed by walking dead. One of the soldiers has his protective gear removed and dies within seconds showing the virus is still in the air. The second soldier, Cooper, discovers he is immune and finds the survivors in the University. Eventually with the help of Cooper the survivors escape the University to find the underground military bunker, on the way to the bunker they meet up with Michael and Emma in a motor home. The few survivors get into the bunker but not allowed past the decontamination area, now safe underground. 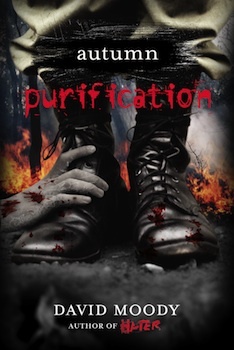 Now for book three, “Autumn: Purification.” We join all the survivors as they continue to exist in the bunker. Problems arise in the bunker when the now aggressive walking corpses are blocking the vents which feed air into the bunker. The undead are blocking by sheer masses of bodies in the area, attracted to the living that are in the area. The military tries to clear the vents but each time they go out they attract more bodies. On the final attempt to clear the bodies, something goes wrong and the survivors must leave, able to save a few of the soldiers after the main bunker is closed to the outside. In a convoy of the motor home, a prison bus and a troop transport they stop in a nearby town to regroup. After clearing out a few animated bodies, the survivors spend the night in a relatively secure area. The next morning a helicopter arrives in town and lands in the secure area. The survivors from the bunker are told by the pilot of a plan to go to safety. The safety comes in the form of an island which had a small population. Once the few bodies are cleared the island should be a haven of safety compared to the mainland. The survivors then only have to drive to the airport where the pilot is stationed and then, using the chopper and one airplane go to the island. Not as easy as it sounds, especially with the dead becoming more self-aware. What I really liked about this story of survival, is that David Moody uses the normal person as the main characters. Not like other zombie movies. Have you ever noticed how in other zombie movies your everyday average person suddenly becomes an expert marksman when zombies attack? Not so in this book. These people panic, don’t shoot straight, and often double think their movements. Basically what your everyday normal human would do when struck by the sudden terror of not only being one of the last humans alive but also the terror of the dead walking around. It’s back to some zombie action once again. This time around I’m continuing in a series written by David Moody, one of the best zombie horror writers, I’ve read. The funny thing is, the zombie word has yet to appear in this series and this is the second book. 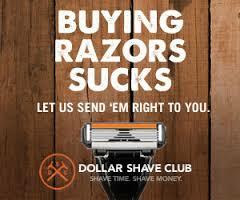 Sure there are reanimated corpses, cadavers, bodies walking around, but no one ever brings up the “Z” word. There is once that one of the characters compares the walking corpses to those in the movies their kid used to watch. But Moody is able to bring you the horror of zombies without the word or even flesh eating monsters. Sure the gore is still there with rotting flesh and dead people walking around and looking decayed, but they don’t attack, at least not at first, and then when they do, it’s more a matter of the numbers of dead bodies, than the fear of being eaten or worse turned into one of the living dead. This makes the horror a deeper more emotional horror and plays on a different side of fear. Being part two of what is a four part (so far) series, I’ll give you a little bit of a background, but one thing I noticed was that this book could easily be read independent of the first book, which was titled, “Autumn.” Both books basically run parallel to each other until later in the book when a couple of characters from the first book show up and blend in with this story. In “Autumn” the same as this book it all starts out with a day like any other, people on their way to work when all of a sudden many are struck with a sudden illness that within seconds leaves them dead, choking on their own blood. 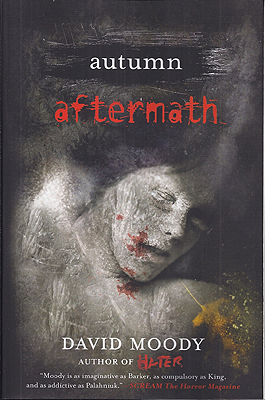 In the first book a few survivors meet up in a community center all dumbfounded that suddenly everyone they know is now dead. In fact all the deaths happen so suddenly that the roads are jammed with wrecked vehicles, and bodies. Not knowing what to do the few group in the center just simply trying to make sense of it all. After a couple of days the dead bodies begin to get up and walk around. Not threatened by the slow ambling bodies, the survivors ignore the bodies walking around not able to cope with this new horror. The bodies simply walk until something is in the way and then change directions. After another couple of days the bodies begin to respond to noises made by the survivors. Still not threatening but nonetheless horrifying, Three of the survivors including Michael and Emma decide to head out of the small town and out into the country where there will be less bodies walking around and try to make a new start of it. They find a farm in the middle of nowhere and begin to set up house trying to begin anew in this strange new world. The problems begin when the dead bodies begin to get more aggressive, the walking dead soon begin attacking, and with their sheer numbers and being attracted to the living, drive the survivors out of the farmhouse and Michael and Emma return to the town to find the rest of the survivors. 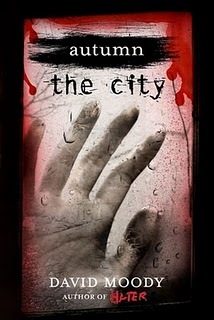 Now for this book, “Autumn” The City.” The beginning parallels the events in the first book but this time around the survivors are in a major city. With the higher population of the city the sheer numbers of walking cadavers soon overpowers the survivors who are holed up in a local university. The thing that makes this book a little more different and interesting is that Moody introduces the military into the mix. At the beginning of the book a strange alert goes out and all local military are shuffled off to a hidden underground base. The military is forgotten until after the point when the walking corpses start to get a little more aggressive. At this point the hidden away soldiers decide that after a few weeks and no communications with the outside world a scout party needs to be sent out. A troop transport is loaded up and some soldiers venture out into the city to find out what has happened to the world. Mistaking the walking dead for infected citizens, they stop and try to find out what is going on. The undead soon attack the soldiers causing all to leave, two soldiers are left behind as the transport leaves back to base. When one of the left behind takes off his mask he soon succumbs to the disease and dies instantly. The other soldier, Cooper, decides not to take off his gear and seeks out shelter from the infected. Soon some of the survivors decide they are no longer safe in the University and need a plan to escape to somewhere where there are not millions of walking corpses attacking. When Cooper shows up at the University they realize the base must be the place to go. But first, transportation is needed and then to escape the millions of dead in the city. David Moody has a way of creating books about zombies without having zombies. In his series “Autumn” the “Z” word is never mentioned but there are reanimated corpses. In the Hater Trilogy he has created a bunch of mindless fighters who never eat the flesh of their victims but go into uncontrollable rages until the victim is dead. So while they may not be be zombie books, they still create the same horror of a zombie book, but without the gore. In the Hater trilogy, it turns out that some switch is thrown in the human brain where about half of the poulation become Haters. The Haters see an Unchanged and that flipped switch causes the Hater to attack fight and not stop until the Unchanged is destroyed. Even when a Hater has all his limbs incapacitated they will still fight until one of them is dead. With this aspect Moody is able to explore the darker side of a zombie apocalypse. The darker side being how do you survive when all is gone, every aspect of civilization breaks down and no longer is there a means for food to be obtained by just going to the corner market. In the first book, “Hater” the switch was flipped and all the population began a war that would leave the world scarred forever. In this book we were introduced to Danny McCoyne who became a Hater but first watched the world collapse, losing is family. In the Second book, “Dog Blood,” the world was at war Haters vs. the Unchanged. Danny sought to find his daughter who he knew was like himself, a Hater. The problem was, though, his wife and two sons were Unchanged. Danny had to fight the Hate inside to sneak into Unchanged refugee camps to find his daughter without being discovered. All this while a major world war was going on between the Haters and Unchanged. When he found his daughter one side, whether it was Hater or Unchanged or both is never really known, launched nuclear weapons destroying all of the major cities. Danny lost his daughter as they were trying to escape one of the blasts, when she went running back into the explosion. 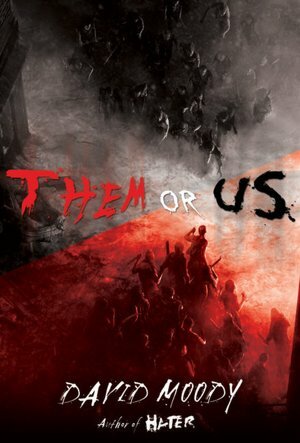 Now we come to the third book, “Them or Us.” The world is torn apart and there are very few Unchanged left, what few there are are hunted down and slaughtered. A small community of Haters is gathered that is ruled by a man who gained his position by killing the man in charge and putting up all the toughest fighters up in a higher social class. So the haters now rule by might. Danny is discovered to be able to hold in the hate and Hinchcliffe, the leader of the community, uses him to inifiltrate nests of the Unchanged so the Haters can slaughter them. Danny becomes a sort of confidant for Hinchcliffe and learns all his secrets. The big problem is that once all the Unchanged are gone who is left to fight, each other? That answer seems to be yes when another community is discovered and Danny is sent to infiltrate and find out any logistical info so Hinchcliffe can attack. With the last of humanity struggling for survival Danny begins to question whether mankind should continue or just kill itself off. The question of all time, do we really deserve to exist? If so How? And what does war prove? This book is full of philosophic wonderings and some interesting action thrown in to keep the brain pumped. I’ll warn you once you start reading this book or any book in the trilogy you can’t stop until the last page, even then you’ll want more. Before I start into this book I have to clarify some of the history behind this book. First of all it was written as web series online and developed into a book. The original printing of the book went out of print but after the success of Moody’s books “Hater” and “Dog Blood” the book and the other 3 in the series get a new life. 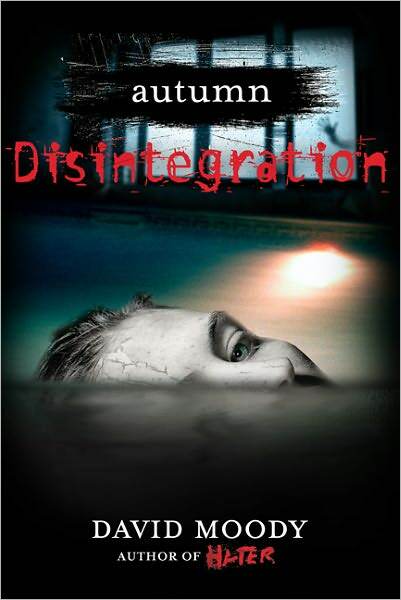 This is the first book in a series of zombie thrillers written by Moody. It seems David Moody has a talent when it comes to writing zombie stories but not your regular zombie stories. In the books “Hater” and “Dog Blood,” Moody wrote about a disease or disorder that caused a percentage of the population to attack with unbridled rage. These “haters” were zombie like in their action but not really. In this book the zombies are walking dead bodies, but they don’t seem to attack and eat flesh. To start things off in this zombie book, the world is suddenly torn apart by a disease that within a few hours leaves people suddenly dead. There seem to be a few that are immune and they face the horrors of their friends and loved ones suddenly choking up blood and dying where they stand. The sudden deaths leave several vehicles wrecked and bodies lying in the way. A couple of people find they aren’t the only ones that survived and set up a vehicle with a stereo playing and light a bon fire. The few survivors around hear the music and see the fire and begin moving toward the sound and light in a quiet dead world. A group of people gather in a small town community center, all in shock and all not knowing what has happened or what to do next. They all simply huddle together in the community center seeking the comfort of the living. Before anyone can work out what to do next the contagion takes a turn toward horror. Some of the dead bodies lying around the community center begin walking around. At first a couple of the living think they may be coming back to life but after bringing in one of the walking corpses they realize that the dead are still dead and the reanimation is only a physical thing, the body is still decomposing, and there is no life or spark in the eyes of the walking dead. The bodies are all simply walking until something gets in the way then they change direction. Carl, Michael and Emma decide they don’t want to just stay put and wait to see what happens, they want to leave the community center and find shelter where there are less walking dead. Out in the country sounds logical, less population means less bodies. The others in the center reject the proposal after one of the walking dead begins to try to get into the center. After acquiring a van and some essential food items the 3 venture out and find just outside a small town a farm house. The house seems to be perfect, ought of site, hard to find, and with a generator. They begin setting up house after removing the corpse in the living room and begin working on the generator and soon get it running. The noise of the generator begins to attract the walking dead so they have to limit their time running it. The walking dead now seem to be developing into something more than just motor skills, they seem to be able to react to sound. After going into town for more supplies, the trio realize the danger of the masses of undead when they are attacked at the supermarket. The attack is not a typical zombie attack from other zombie stories where the undead attack and rip off flesh and begin eating the living. Instead the danger is in the masses. Several dozen walking dead can create a force much like a tsunami. David Moody writes this zombie story with what at first seems like a peaceful story where the living have to learn how to adjust to a new world, but when the masses of walking dead begin to herd together the danger is not in being eaten by the undead but by trying to survive flood. Moody has written this story with a major creep factor that will keep you reading. I had a hard time putting this book down and when I did, I made sure all my doors were shut and would peek out the curtains to make sure nothing was moving around that shouldn’t be. I know I can’t wait for the next book in this series, mainly because of the cliffhanger at the end but also because Moody can scare you without the violence of a typical zombie thriller. David Moody has created a thrilling joyride through an apocalyptic world of zombies, but without an apocalypse or zombies. This may need some further explanation, so bear with me. First of all this novel, “Dog Blood” is the sequel to Moody’s previous novel, “Hater.” In “Hater” the world changed. Many people suddenly began killing other people, it was soon discovered that a percentage of the population was changing into what was being labeled as Haters. 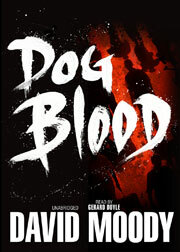 As it turns out David Moody has written this novel, “Dog Blood” and continues the story with such a a delivery that you get tired as if YOU are the one running around and trying to survive. The story creates such a unique insight into the world of Haters and Unchanged, that not only do you read about the battles, the survival, the lack of governmental control but Moody writes in such a fashion you feel as if you are part of the story. The reader, Gerard Doyle, does such a great job that he further presses that urgency and emotion that is within the story it is as if the story were written with him as the intended reader. Doyle at times when the story calls for it can be emotionless but within a splitsecond the story telling turns to a rage fueled story and Doyle makes those shifts perfectly clear with some very artistic voicework. 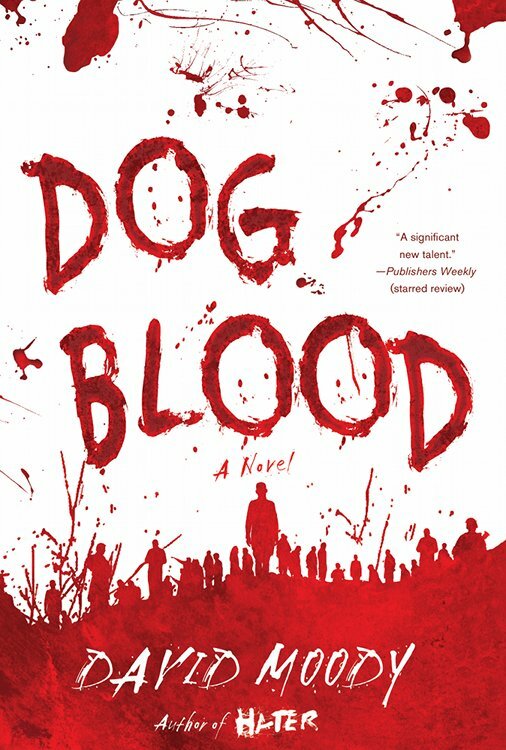 Survival, hordes of violent attackers, and the possible end of the world, “Dog Blood” takes up where “Hater” left off and I will warn you the ending keeps you questioning. I will warn you also to make sure you allow extra listening time when you approach the end of the book, the last few chapters are so exciting you CANNOT stop listening. Actually, you won’t want to stop the book at all once you start. Recently I listened to the audio book “Hater” by David Moody and I really enjoyed the story and the original concept behind this horror story. I decided to look into the author’s other works and found some really cool stuff on this David Moody. He’s published most of his books on the web and offered them for free and it looks like it has paid off. He now has movie companies interested in turning his books to movies. During this research I found the website DarkerProjects.com. 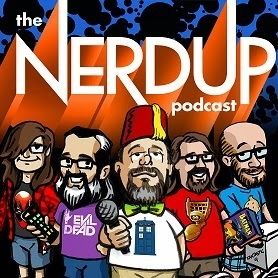 Darker Projects is a darker audio drama company who present original projects such as Tales from the Museum, The Byron Chronicles, and The Falcon Banner in addition to other popular Star Trek and Doctor Who interpretations. All you have to do to listen to these creative works is, download audio or subscribe to their podcasts. One of their projects is to take this book by David Moody and turn it into one of their audio dramas. All in all the production was some very good listening. The sound effects and music were very well mixed with some pretty decent acting. My biggest complaint is that it lacked narration. Many times during production there would be a series of events happening and all you heard was sound effects and some small dialogue. I found myself wondering what was happening, the sound effects were enough to tease but not enough to tell the story. There were some moments with narration but not nearly enough to tell the story. Once the story got rolling along the dialogue between characters would keep the story going, but when moments of action I was left wonder what was happening. It would be like listening to a television cop show car chase with your eyes closed, you hear the sounds but don’t know who is gaining on who. Aside from that the dialogue and acting were enough to keep me interested. Don’t get me wrong, the sound effects were very well done for the most part, but without that extra narration I would get frustrated. There were some “Dukes of Hazzard” sound effect moments that made me giggle but nothing too bad. By “Dukes of Hazzard” sound effect moments I’m talking about the tires squealing on a dirt road effect. But I still enjoyed the story. 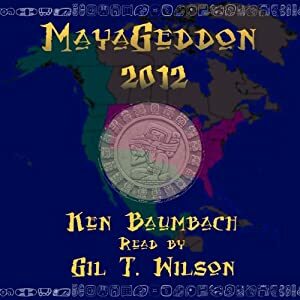 Okay as for the story the book and this audio drama are about zombies. Zombies can be a fun genre of horror. In this story a plague kills off about 99 percent of the population. The stricken immediately choke to death and die. The survivors in this story are few and as humans do seek out other survivors. Keep in mind the dead are not zombies, yet, they are just dead bodies that died instantly and the land is covered by them where they fell. Soon many of the living come together in a community center and begin to “survive.” After a day or so some of the dead bodies begin to get up and walk around. Nothing threatening, just walking. Some members of the group decide it would be safer in the country and leave the group. After a few more days the dead become full blown zombies and begin to attack. I will definitely have to pick up this book and give it a good read after this thrilling introduction. 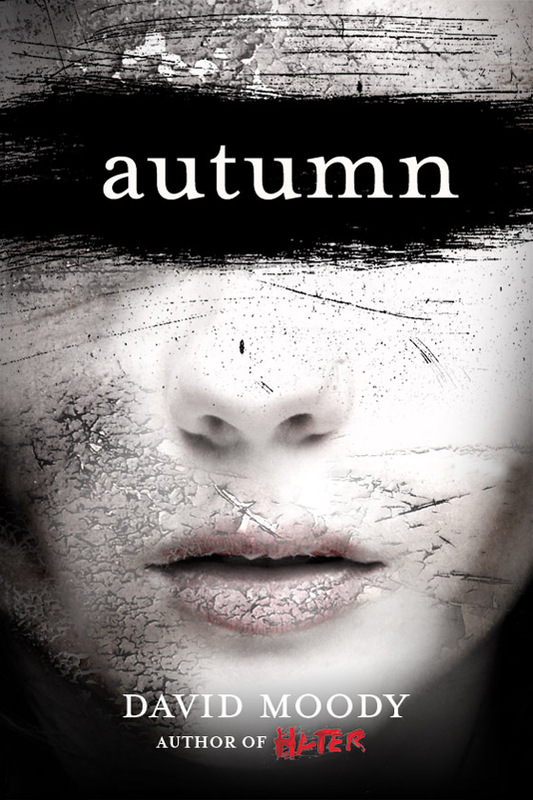 “Autumn” by David Moody is book one of a 6 book series with a bit of an original take on the Zombie Genre. Also I’m going to be checking out some other productions by Darker Projects. Just wanted to thank you for this piece and also the Hater review you posted previously. Glad you enjoyed the stories! The Autumn books are out of print right now (they were recently acquired by Thomas Dunne Books – the publishers of Hater in the US). I’ll let you know when the reissues happen and arrange to get you a copy.